Marvel Comics has been around for a long, long time, from yesteryear when they were known as Timely, to the post war era and the golden age of comic books, to the seventies and beyond. During its long and glorious history Marvel has never really been one to shy away from what its millions of fans want, and back in the 1970’s and 80’s the company ran two really successful lines that started out as padding to fill out scheduled releases, Marvel Team-Up and What If. Marvel Team had unlikely characters from the universe and put them together, with characters like Man Thing teaming up with Howard the Duck, or Wolverine and Spider-Man. What If was a pondering of what would have happened if circumstances had changed for our heroes, like if Flash Thompson had been bitten by the spider instead of Peter Parker, or Doctor Victor Von Doom was President of the USA? The What If series was very popular and ran for over a decade with lots of great stories and now Marvel have just announced that they will be bringing some of those stories to life and spinning characters on their collective heads with an animated television series for the upcoming Disney + streaming service. The first of these shows will feature fan favourite Hayley Attwell who played Peggy Carter in both the MCU and the short lived television show of the same name. 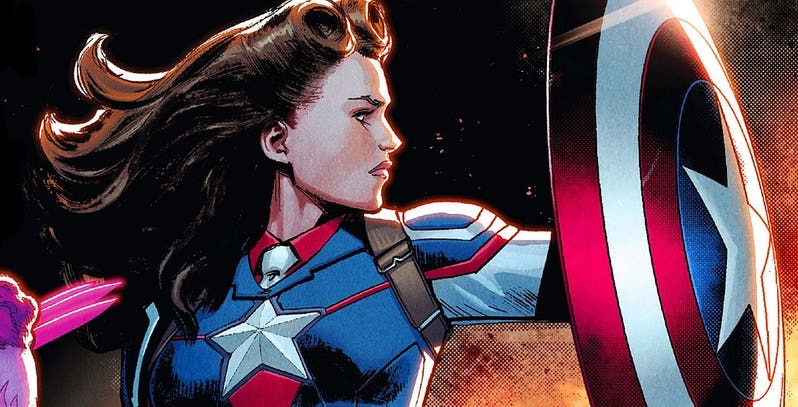 The twist here will be What If Peggy Carter took the super solider serum instead of Steve Rodgers? With fans wanting more from Attwell will be pleased to know that she will reprise her role, alongside Captain America himself Chris Evans, as they will provide the voices for the characters in the animation. This is the first confirmed story for the What If series, though it is rumored that Tom Hiddleston may reprise his role as trickster god Loki, in the What If Loki found Thors Hammer?